Missile evasion is a very important part of modern air combat, yet many people believe it is impossible. But this is false, for several reasons. First reason is that missile cannot turn tighter than the aircraft: in order to pull as tight turn as a fighter aircraft, missile has to pull amount of g that is amount of g’s aircraft can pull multiplied by factor of difference in speed squared. For example, Typhoon can pull 9 g at 360 kts, and IRIS-T can pull 60 g at Mach 3, or 1.984 knots. What this means is that IRIS-T will have 4,5 times as wide turn diameter. If target is pulling 9 g at Mach 0,9, then IRIS-T will still have 1,7 times as wide turn diameter, and if target is pulling sustained 5 g turn at 360 kts, IRIS-T will have 2,5 times as wide turn diameter. Evasion is made easier in some situations by the fact that missile always attempts to lead the target. Thus if target changes heading, it will be hard pressed to correct. This is the case with BVR missiles, where target fighter aircraft can turn so that missile faces its side and only enter a turn once missile is close. Probability of BVR missile hitting is made worse by the fact that it is both faster and capable of pulling less Gs than WVR missile: AIM-120 can pull 40 g at Mach 4 (2.646 kts), which means that it will have 12,2 times as wide turn diameter as Typhoon in example above. Even if Typhoon turns at 5 g (maximum sustained g in AtG configuration), missile will still have 6,75 times as wide turn diameter. Also, when missile is tracking a maneuvering target, it bleeds off the energy. Main problem with evading missiles is their speed, which makes timing somewhat difficult. However, even that is far less of a problem than commonly assumed, as missile will be closing at 1.200-1.400 meters per second in the best case. At 20 kilometers, this means 14-20 seconds to reach the target for a BVR missile, or 20-23 seconds for IR missile. Thus there are several tactics to evade the missile, some of them very simple. First is a barrel roll. As missile is unable to track it, it will fly past and loose a lock in the process. Second is a simple turn, where pilot forces missile to follow it through a turn – this turn however must be well timed, and is very useful as an end move in more complex maneuvers designed to bleed off missile’s energy. It is also very useful in a dogfight, where rear-aspect shots are far more likely than front-aspect shots. If missile is fired head-on at BVR range, there are several ways to evade it. First is to turn hard to either left or right so as to fly at roughly 90 degrees angle to attacking aircraft. This forces missile to bleed off the energy and to lead the target; as a result, once target aircraft makes a hard turn to reverse a direction, missile – with its far larger turn circle – will be unable to compensate. A variation of this tactic is also useful for head-on WVR launches. Second tactic, which is also useful at short ranges, is jinking. Aircraft must be positioned so that it is at angle (30-60 degrees is optimum) relative to missile’s flight path; diving is recommended so as to keep energy and take advantage of ground clutter. Once missile gets closer, aircraft will make a hard turn in opposite direction; if missile follows, aircraft will immediately reverse the turn. As there is a lag between aircraft changing the direction and missile following (for several reasons, most important of which is missile’s inertia), this will cause missile to head in wrong direction until it manages to correct, and also to bleed off the energy. Eventually, it will fly past the aircraft and miss. 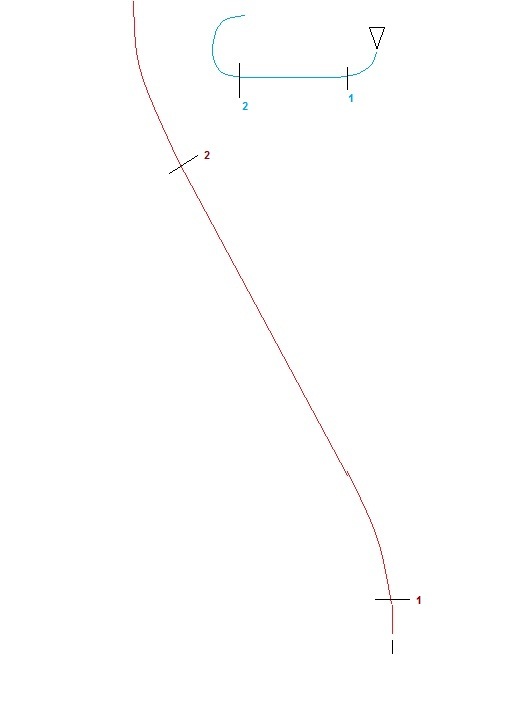 A variation of this maneuver is to continue first turn into a barrel roll; missile will continue to track the aircraft, but in the end its lower turn rate will mean that it won’t be able to keep up. Third tactic is to turn away and dive for the ground, gaining speed and putting as much distance as possible between aircraft and the missile. This tactic is also useful for rear-aspect BVR shots, but is not useful on its own at shorter ranges, and pilot must evade the missile physically by pulling the aircraft into the turn and forcing missile to overshoot once missile comes sufficiently close. Importance of last part is well displayed in both Gulf wars, where Iraqi failures to time the evasion, or even try to outturn the missile, resulted in unusually high missile Pk. Similar situation, but with WVR missiles, happened in Falklands war. Fourth tactic, mostly useful at longer ranges, is to climb. Since at long range missile will have burned out its engine, it will rely on inertia to keep it flying, and climbing will mean that it will bleed off energy rapidly. Once missile reaches a close range (maybe around 1,500 meters), dive for the ground, then pull up. This will allow pilot to gain energy and using it to evade the missile. Fifth tactic is to place the missile at 3 o’clock or 9 o’clock position, then maintain sufficient turn to keep the missile there. This tactic (which is also useful against WVR missiles) forces the missile to execute a continuous turn, bleeding the energy entire time, making it easier to outturn the missile once it comes close. At very close range, missile will have poor maneuverability as it will not have picked up full speed which means it won’t be able to pull its “official” maximum number of g’s, and that pilot of targeted aircraft will have more time to react than maximum speed of missile might suggest. Missile’s maneuverability peaks at instant before motor burns out, as it will have lowest mass while still possessing motor thrust; this state is what is reflected in “official” statistics, and only under assumption that it did not have to maneuver beforehand. Physically avoiding the enemy missile is not the only option. If missile is radar-guided, hard turns can cause it to loose lock and miss, regardless of wether it is guided by launch platform or is using its own radar; one of reasons is that most radar-guided missiles track target’s radar centroid, which changes with aspect, and as such target’s maneuvers can result in LOS jitter and return scillintation. It is also possible for a fighter to fly out of seeker’s FoV, regardless of wether missile uses IR or active radar guidance; this has greatest likelyhood of happening if fighter closes with missile at angle. Most modern missiles self-destruct if they have lost the lock. Maneuvers can cause degradation in performance of missile’s fuze, and if aircraft is low-flying, terrain can cause activation of proximity fuze. Jamming can also help evade radar-guided missiles, making acquisition of target difficult for the missile; chaff can also be used to deceive missile’s radar (active-radar missiles are unlikely to use AESA radar due to power and weight requirements) or fuze, forcing either a miss or a premature detonation. Missile’s effective range is also dependant on altitude, relative speeds. As a rule of thumb, it doubles every 20.000 feet (6.100 meters) above the sea level. Speeds also have a major impact: if target is running away, then every 100 knots in speed advantage for target reduces missile’s range by 5-25%, depending on missile’s own speed. Large target speed advantage can also cause acquisition difficulties for Doppler-radar missiles fired from the rear. This entry was posted on August 17, 2013 at 6:10 am	and is filed under Uncategorized. Tagged: aircraft missile defense tactics, evading AAM, evading air-to-air missile, how to evade air to air missile, missile evasion, missile evasion maneuvers, modern air combat. You can follow any responses to this entry through the RSS 2.0 feed. You can leave a response, or trackback from your own site. In the “first tactic”, you normaly didn’t turn away from the missile, but break into it, to increase the Target Aspect Angle (TAA) faster, giving the missile less time to react. The rest is quite comprehensive. BTW: Radar guided missiles have an inherent small seeker, which gives them a very poor angular resolution, although MMW Seekers (Ka- or W-Band, 35 oder 94 GHz) may overcome this. I think there is something I am not understanding here. That number of G’s sounds completely ludicrous, can you rephrase the equation? I have a hunch for what you intended, however. This sounds much more reasonable, is that what the intended equation was? I think I understand your meaning now. The missile must pull the amount of g’s the aircraft can pull multiplied by the speed of the missile divided by the speed of the aircraft (in mach). The miscommunication came from two sources that I can see. 1. I automatically assumed the unit of speed being used was knots, instead of mach. Even in knots, division produces the same result. Aye, that was mistake on my part. Could you explain lambda compensation a bit . Can fighter jets out manoeuvre missiles? Thanks! It’s better than I thought. And how is this calculation true? Just for the information/source here. As what I have read from military papers is the claim that missile needs to only pull 2.5-3x of G-forces to out-turn the fighter as rule of thumb. Meaning if fighter pulls 9G, then only 27G is required from missile, and some missiles has 45-60G turning capability, basically out-turn any fighter in any situation. This is first time I read about such a high G-force maneuvers required from missiles. For some reason, it does make sense to me, but I just would like to find the source/information for myself. As fighter just pulling some loose barrel roll can get missile totally miss-course if the fighter is doing it steadily instead trying to crank itself up while not really changing the flight path. Do note that I wrote “in order to pull as tight turn as a fighter aircraft, missile has to pull amount of g that is amount of g’s aircraft can pull multiplied by factor of difference in speed squared.”. It is basic physics. Of course, missile often does not need to pull as tight turn as aircraft to hit it, whereas sometimes it would need to pull tighter turn than the aircraft did. It all depends on the conditions. Claim you have cited from the papers is correct, in optimal conditions – but conditions rarely are optimal. A lot depends on the situation. 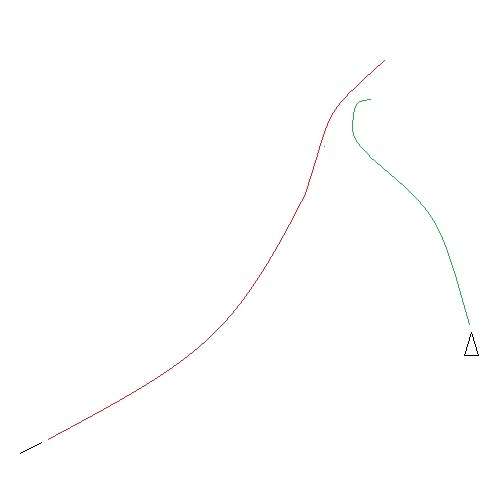 Aircraft that is pulling a sustained turn is far easier to hit than aircraft undergoing erratic maneuvers. Missile might not be launched from optimal distance or position; attacker might not have managed to get at target’s 6-o’clock, or he did but is too close or too far – so missile has no time to accelerate, or has spent fuel and is flying on inertia. Maybe it cannot pull its paper-spec maximum G because it is going too fast, too slow, air is too rare or it has fuel left onboard. Maybe it got decoyed by a jammer or blinded by a flare barrage, and lost its bearings. That is why I am skeptical about any claims based on calculations or peacetime testing, and prefer to use actual missile performance against certain targets. Note that AIM-7 was claimed to have 90% kill rate, lowered to 70% in operational tests, and even in literally perfect conditions in Desert Storm (incompetent, under-equipped enemy; persistent AWACS presence; BVR engagement allowance etc.) it achieved 34% Pk, less than half of what it achieved in operational testing. A typical rule of thumb is the missile needs to pull 3x’s the acceleration of the target. So if the target is pulling 6 G’s the missile will need to pull 18 G’s and by the way also have a closing speed advantage. Well there are two things that really need to be stressed here. The first is that a lot of people don’t understand that missiles go ballistic after a very short period of time. I know that you stated this, but it really needs to be stressed to people. Think of the difference between a paper airplane, and the space shuttle in space. The airplane makes a slight heading change and immediately generates lift due to an incredibly high lift/weight ratio. The space shuttle can spin all day long without changing velocity, because there’s zero lift in outer space. Perhaps a more accurate comparison would be between a paper airplane and a pencil. It doesn’t take an aeronautical engineer to look at a missile and conclude that the lift/weight ratio of the thing is going to be terrible. There is no worse a structure to generate lift than a cylinder, except perhaps a perfect sphere. Once the missiles go ballistic, they have to rely on this lift, and, frankly, I would be genuinely shocked if these missiles could even pull 5 g’s. Which leads me to the next thing which a lot of people don’t understand, the difference between structural strength and aeronautical performance at any given speed and altitude. Take our Canadian CF-18’s, which have a structural strength of 7.5g’s. Their take of speed is around 220kmph. That means that if there is an CF-18 on a runway, at sea level, at 100kmph, it cannot even pull a single g in terms of lift/weight. We know this, because it can’t get off the ground. The corner speed of a CF-18 is somewhere around 800kmph, and we don’t know what altitude that is at. For any given speed and altitude a fighter plane will turn the fins off of a missile. If that weren’t true, then everything we know about aerodynamics must not be true. I mean, what would the equivalent of wing loading be for a missile anyway? 8000kg/m2? Short range, usually IR missiles while they are within the 3-4 seconds of being fired where they still have their fuel inside of them and can actually use thrust to accelerate, yeah I can see them being very dangerous then. Especially when they are fired from prime position, behind the other plane, within 2-5km, and from a plane with faster current airspeed.